Ryan Murgatroyd, also of Crazy White Boy fame, is something of a maverick. Shaped in a country going through massive change itself, Ryan's music has the ability to transcend boundaries. From his collaborations with Konstantinos Karatamoglou as the duo Crazy White Boy to his latest hit in Europe, Ryan has continued to shirk the conventions adopted by so many of his peers. Ryan's aspirations of being a singer may have ended on the doorstep of his Grandmother's house, but his obsession with simple melodies has remained. Growing up in the bustling vibe that is Johannesburg, Ryan couldn't help but be influenced by the myriad of shapes, colours and sounds he was exposed to on a daily basis. The natural elements of African culture are mixed seamlessly with cutting-­edge production to produce the perfect balance of rhythm and beat that you simply can't get out of your heart. His melodic, African-­inspired house tracks such as iKalimba and Bantwana's Piano usher you away from the mundane, and introduce you to a whole new side of house music. 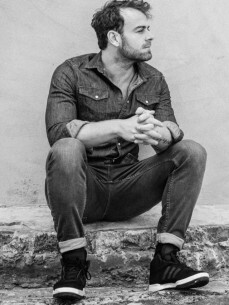 After earning his dues on the local club scene, Ryan rose to global prominence when his release Funk Country became BBC1 Radio's "essential new tune" on the legendary Pete Tong's show. His solo career took a backseat as he indulged in other pursuits, including several smash hits as part of Crazy White Boy and a pivotal role at the Soul Candi Institute of Music. Ryan's passion for music, and passing that knowledge on to others, led to him creating inspirational curriculum content for music colleges around South Africa. Never one to sit on his laurels, Ryan set his sights on conquering Europe once more. It didn't take long before his debut single, Bantwana's Piano, was making waves around the world. DJ Mag called it "a towering achievement in the landscape of modern house music" before it was track listed on 4 Defected compilations over last season. His latest work hasn't gone unnoticed with Ryan signing a 3 track EP deal with global hit makers Get Physical in Berlin.